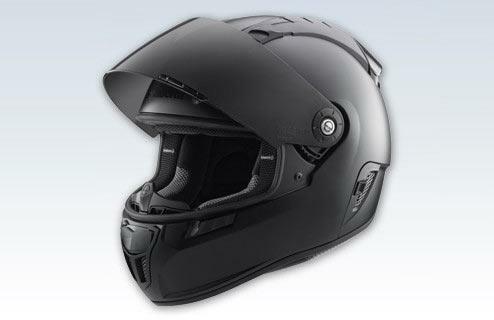 Schuberth has launched its new SR1 supersport helmet at this week's Cologne show. It's due in shops next spring. Here's what Schuberth say about it: "As in the touring helmets which have received many awards, a genuine Schuberth heart also beats in the SR1. Whether on a country road, the motorway or a racetrack - the SR1 performs excellently at high speeds and impresses with its first-class aerodynamic values. Being developed in the wind tunnel means that the SR1 has outstanding aeroacoustics - a prerequisite for concentration while riding. The helmet shell consists of S.T.R.O.N.G. fibre, a special glass fibre reinforced duroplastic matrix, and is produced in three helmet shell sizes."